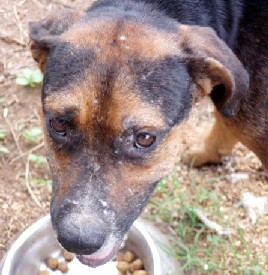 Bear died in his dog house less than a week after being donated to TBar. 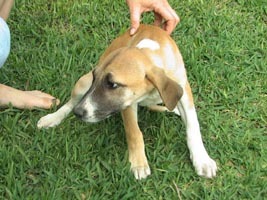 He was donated along with 7 other puppies who are doing well and available for adoption. 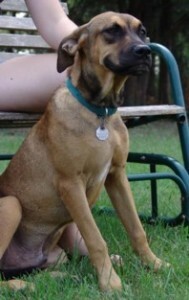 He was a sweet dog and will always be remembered. 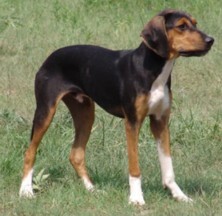 Blue Moon came to Tbar with a severe case of heartworms. We kept her comfortable and tried treatment but she didn’t survive. She knew love and care before she crossed the rainbow bridge. She is healthy and breathing easier now. 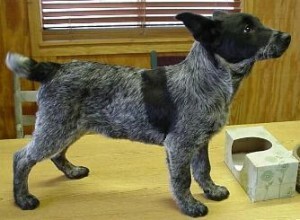 Here is a picture of Skye. 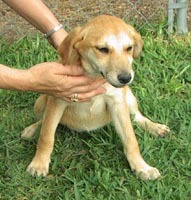 She was donated to Tbar when her owner could no longer take care of her. 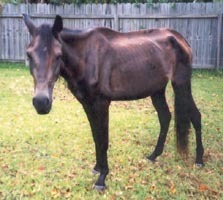 She was malnourished and had an injured leg that could no longer be straightened out. 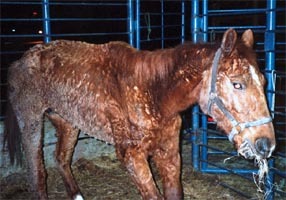 Because of this she was also foundered in her front hooves and could not stand up without pain. 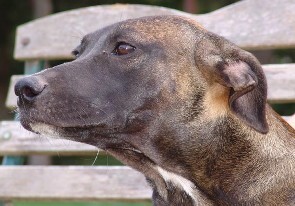 Sadly Skye did not live long after she was taken to the vet. She was weak and did not have the fight in her to survive her condition. We will not forget her. 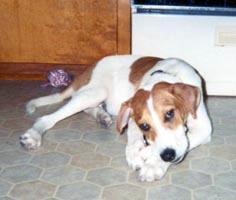 Taz left us on June 27, 2004. 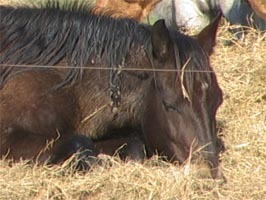 He got colic from the rich grass that grew during all the rain we had been having during this time. 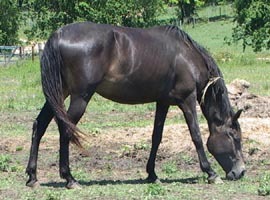 The rich grass along with his cribbing was a terrible combination. 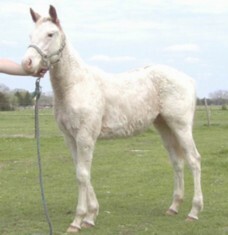 The air he sucked in while cribbing caused the grass in his stomach to ferment quickly which caused the colic. Taz’s rolling caused a twist in his intestine. His foster Mom walked him and gave him bantamine before the vet came, but the twist must have already been there. The vet treated him and gave him mineral oil, but nothing worked. 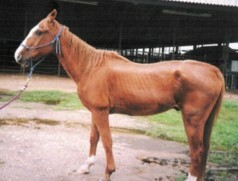 He was taken into the vet’s office where the twist was found during palpation. Poor Taz was in a great deal of pain and exhausted. He was ready to be set free so his foster Mom, Melanie DeAeth made the decision to put him to sleep. He will always be grateful to Rama Santschi for saving his life. She took him in and helped him gain weight when he was the walking skeleton seen in this picture. Even after gaining weight he needed to gain trust in humans. He thanks his foster Mom, Melanie DeAeth for helping him to do this. He learned to trust her and felt safe in his foster home. He had a good life while he was here. 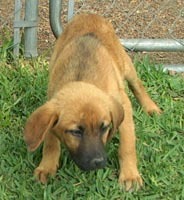 He also had the special purpose of being the reason why True Blue Animal Rescue was created. 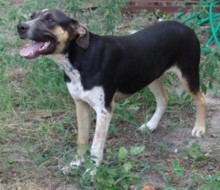 This rescue was created to give sanctuary to Taz and other emotionally disturbed animals like Taz. He will never be forgotten and True Blue Animal Rescue will go on saving animals and giving them a safe place to live in Taz’s memory. 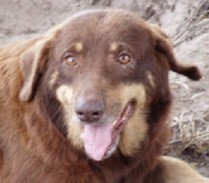 God Bless you Taz, I know you are running free in open fields and you finally are freed from all your sadness and worries. Thank you for giving me your trust.